Gaming isn’t just for kids. It’s an industry that has over the past couple of years surpassed Hollywood revenues. Gaming influences the entire tech industry, and the posts herein are discussions and observations about the influence of gaming, fascinating game concepts, and predictions about its future. The Fallout video game franchise is unique in that it re-imagines real world locations that the player character can explore – except it’s two hundred years in the future and the world has been devastated by nuclear war. Fallout 3, for instance, takes place in Washington D.C. and characters can visit the crater where the White House once stood, take the elevator to the top of the Washington Monument, and pay a visit to the Lincoln memorial (among many, many other locations and landmarks). In Fallout: New Vegas, the player character can wander down Freemont Street and head up to the heavily-fortified New Vegas Strip, guarded by a fleet of advanced security robots. One of these securitrons is unique, however – his name is victor and he’s voiced by character actor William Sadler, who you might recognize from The Shawshank Redemption, The Flash television series, and Iron Man 3. Victor is (almost always) the second non-player-character you meet upon beginning Fallout:New Vegas. He’s waiting outside of Doc Mitchell’s house when you first enter the overworld. He has a cheeky cowboy drawl reminiscent of 1950’s western films and a unique visage. This being a ‘Mojave Desert’ and ‘Las Vegas’ themed adventure, it makes sense that Victor is modeled after a real-world Las Vegas Landmark: Vegas Vic. Vegas Vic is synonymous with Las Vegas, even if you never knew his name. He’s featured on all types of Las Vegas apparel, posters, and shot glasses, and there’s almost always an obligatory shot of him in any film that takes place in the neon city. He’s a 40-foot-tall neon cowboy that was installed on the outside of The Pioneer Club in 1951. He was designed in 1947 in response to a request from the Las Vegas Chamber of Commerce. Vegas Vic and and his famous “howdy partner” greeting was established in hopes of drawing new visitors to the city. The Pioneer Club no longer operates as a casino, but Vegas Vic can still be seen at 25 E Freemont Street above a souvenir shop. Pioneer Hotels still owns a gambling hall in Laughlin, Nevada, along the Colorado River. A similar sign, referred to as River Rick, can be found there. In the Fallout Universe, the player character is forced to survive in a hostile nuclear wasteland, seeking out food and clean water in irradiated territories decimated by a war from two hundred years ago. Navigable roadways are rife with scavengers and bands of lawless raiders. Because heightened tensions between the United States and Communist China preceded the nuclear conflict of Fallout, it would follow that the skeletal remains ‘old world’ city settlements, upon examination, provide clues to what life was like before the bombs dropped. Surviving buildings are smattered with pro-America, anti-communist propaganda. 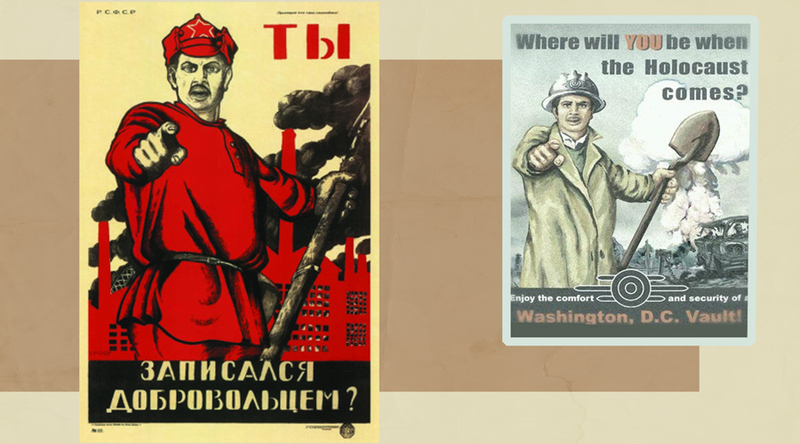 The game designers took their inspiration for these posters directly from the High Soviet Modernist style from the real world. The image above is but one example of a true-to-life Red Army recruitment poster from the Soviet Union and it’s fictionalized ‘Fallout 3’ counterpart. This is probably one of the greatest elements of the game. The designers took ‘world-building’ to a whole new level when developing the franchise. Each iteration of the Fallout Universe reveals the strictest attention to detail, resulting in an highly atmospheric and detail-rich game world for the player to explore. ‘Immersive’ isn’t a strong enough word to describe the experience of exploring the world Bethesda Game Studios has created. As Paradise falls, so falls Paradise Falls. In the western hills of The Capital Wasteland a tall monument can be seen in the distance. The remnants of a commercial shopping center, Paradise Falls is the home of the largest slaver camp in ‘Fallout 3.’ A hulking fast food mascot hovers over the camp’s guard tower and chain-link slave pens, bearing a significant resemblance to a real-world mascot. The Big Boy restaurant chain began as Bob’s Pantry in Glendale, California in 1936. “Home of the Big Boy Hamburger,” the chain is most recognizable by its trademark chubby boy in a red-and-white checkered pair of overalls holding a double-decker cheeseburger. The early versions of the statues were huge, measuring up to 14 feet tall. Naturally, the version in ‘Fallout 3’ avoids infringement by eliminating the checkered outfit and replacing the burger with an ice cream cone – that and it stands significantly taller than any of it’s real-world counterparts. At one point in the early concept sketches of Paradise Falls, game designers were interested in having a scaffolding wrapped around the statue with a sniper’s nest atop the sculpture’s head. Time constraints prevented this from becoming a reality. In recent years, Big Boy statues have come into conflict with local zoning ordinances, and the closing of several locations has seen the dismantling some of the statues. Many of them have been acquired by private individuals, and they appear somewhat regularly on eBay. Smaller versions are still sold today as coin banks and bobbleheads (another theme in ‘Fallout 3’), and vintage Big Boy ash trays, salt & pepper shakers, and wooden counter displays are still floating around out there. 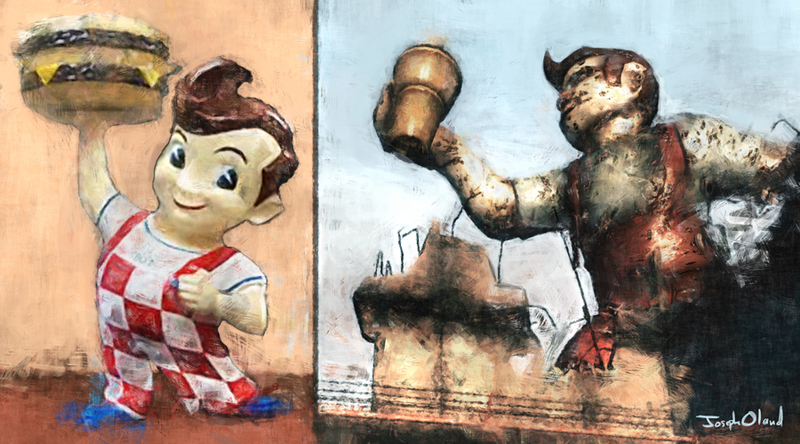 References to the famous Big Boy statue are ubiquitous in popular culture. 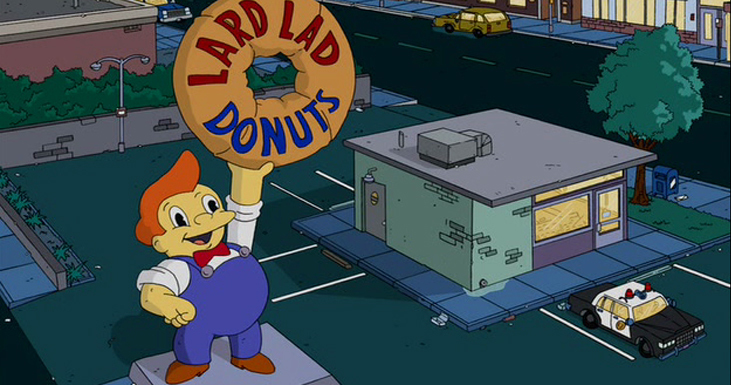 From Bruce Springsteen lyrics and Austin Powers to The Simpsons (“Lard Lad Donuts”) and elsewhere, the days of Bob’s Big Boy are far from over. A goodly number of “Fallout” fans play through “New Vegas” without ever noticing the incredibly striking parallels between the Vegas Strip’s monolithic figure – the reclusive pragmatist Robert Edwin House – and the real-world filmmaker and aviation magnate Howard Hughes. Looking at the image above, it’d be a stretch to call it a coincidence. Mr. House’s biography draws heavily on the life and career of Hughes in a wonderful homage to mid-century America. Let’s take a look at a brief breakdown of their respective biographies. Robert House: Born to a wealthy tool magnate. He was orphaned at an early age and was cheated out of his inheritance. Despite this setback, he attended the Commonwealth Institute of Technology (inspired by MIT) and founded RobCo Industries, a robot manufacturing empire that plays a significant role throughout the “Fallout” series. His technical genius and prolific business skills made him a leading figure in aerospace engineering, Vegas Casinos & entertainment, and even reacquired the H&H Tool Company from his half-brother. Mr. House survives the nuclear apocalypse in a cryogenic chamber of his own design. After two hundred years of preservation, however, he cannot risk leaving his isolation chamber; exposure to outside contaminants would prove deadly. He rules the whole of the New Vegas Strip remotely, using an army of security robots (securitrons) and has brokered treaties with regional tribes, who he has employed to repair and re-open The Strip. 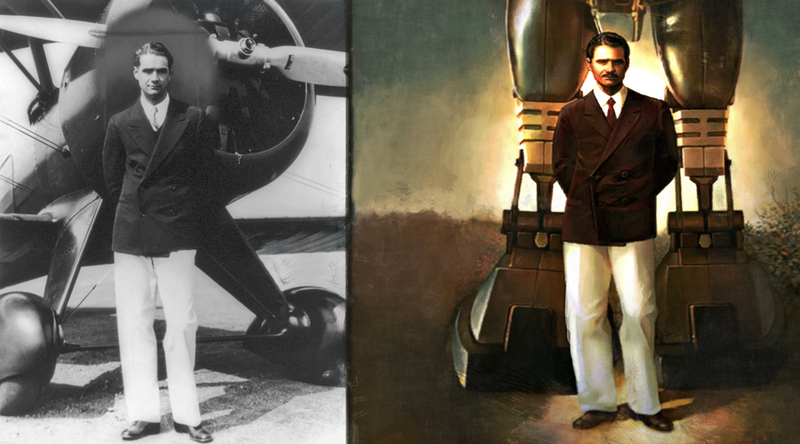 Howard Hughes: Born to a successful inventor and businessman who founded the Hughes Tool Company in 1909. He demonstrated high aptitude in science and technology at a very young age. In particular, he become interested in engineering, building Houston’s first “wireless” radio transmitter at age 11. He used spare parts from a steam engine to make a motorized bicycle, took his first flying lesson at 14, and attended math & aeronautical engineering courses at Cal-Tech. Both of Howard Hughes’ parents died when he was a teenager – his mother from complications of an ectopic pregnancy and his father from a heart attack. Hughes took his inheritance and became a Hollywood tycoon in the 1920s before forming the Hughes Aircraft Company. He broke several world air speed records, acquired and expanded Trans World Airlines, and revolutionized commercial air travel. In later life, he began to evince symptoms of mental illness, including obsessive-compulsive disorder. He is remembered for eccentric behavior, impulsive spending, and an unhealthy obsession with germs. In November of 1966, Hughes traveled to Las Vegas and moved into the Desert Inn. He refused to leave the hotel and decided to purchase it in order to avoid conflict with the owners; he made the ninth-floor penthouse his personal residence. He subsequently purchased The Castaways, New Frontier, The Landmark Hotel and Casino, and The Sands. He would be isolated for weeks at a time, handled common items with tissues to avoid contamination, and become obsessed with underground nuclear testing at he Nevada Test Site. He severely disapproved of nuclear testing, fearing exposure to radiation. 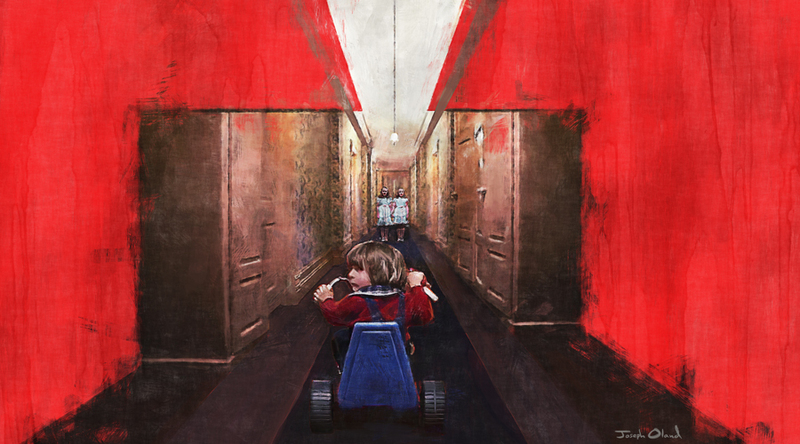 Hughes is reported to have died on April 5, 1976, although no definitive record exists. He had suffered from severe malnutrition, likely the result of his obsession with microbes and infection, and a later autopsy stated kidney failure as the cause of death. Wealthy parents, tool companies, aerospace engineering, eccentricity, isolation, and fear of contamination. The script writers at Bethesda Game Studios paid strict attention to detail, straight down to the Howard Hughes initials for the game’s H&H Tool Company. Beyond that, Mr. House has a security robot named Jane; we later discover that Mr. House has an unusual attachment to the automaton. This computer companion is likely a reference to Jane Russell, a starlet who was under contract to Howard Hughes for a brief period of time and was also one of his lovers. Mr. House also has a peculiar hobby collecting snow-globes. There is a good chance that this is a reference to the snow-globe in the opening scene of Orson Wells’ classic film “Citizen Kane.” While not one of Hughes’ films, it is considered an undeniable classic contemporaneous with Hughes’ own cinematic achievements. Additionally, “Citizen Kane” took it’s inspiration from another business tycoon: William Randolf Hearst. Certainly, much more could be scribbled down about these two – and believe me, I am deeply fascinated with William Randolf Hearst – but these are the major points. It is this level of creativity, appreciation of history, and flat-out whimsy that makes these games so phenomenally fun, and the franchise so unprecedentedly successful. I’ll be keeping my eyes peeled for other interesting tidbits during my next play-through.